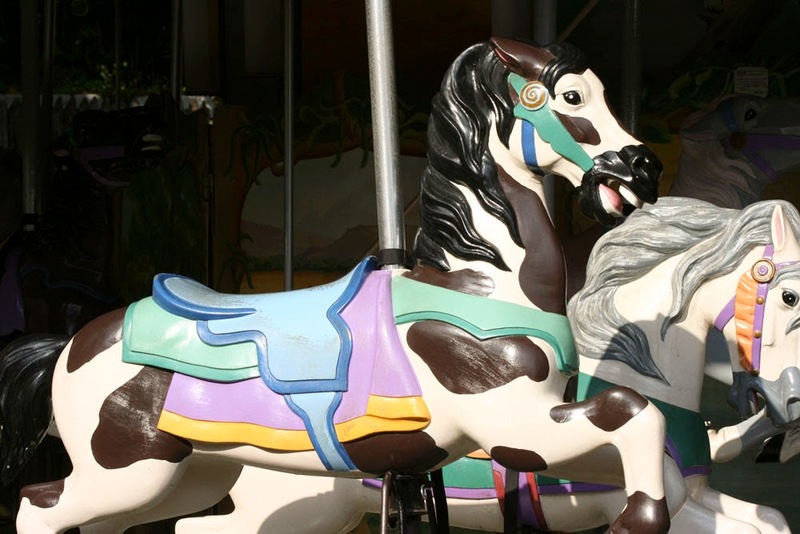 These carousel horses at the Pittsburgh Zoo (PA) will soon be taking a long winter's break, even though the zoo is open all year. The sun was shining on the horses so brightly earlier this month that I couldn't resist taking a few shots. I love any and all carousel horses. 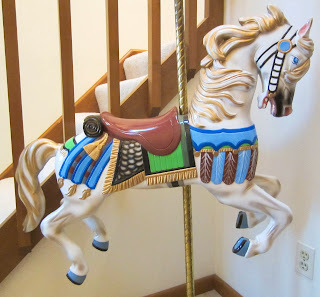 A long time ago my husband Larry bought me a beautiful carousel horse that was created out of fiberglass (I think) by a local artist.. 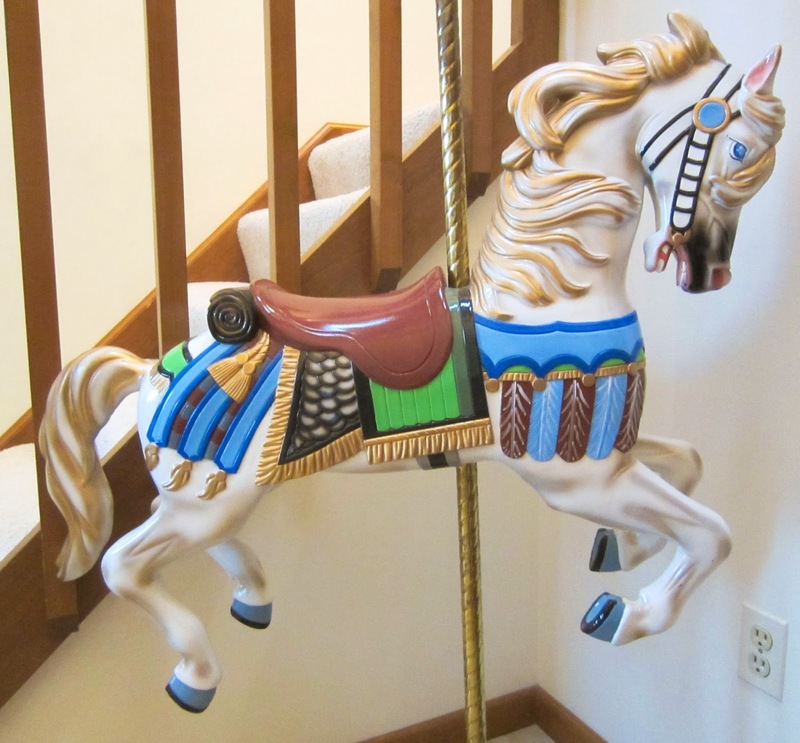 This horse, which sits in our front hallway, probably elicits more comments from visitors to our house than any other possession we have. This one is as close to a real horse as I guess I will come. When I was younger, my cousins and I prayed hard to own a horse. Didn't happen even though we had a barn and that made it a given to us.Our parents had other, more practical thoughts. It would have been nice though.